An event that was supposed to promote universal peace and understanding ended up causing universal turmoil and chaos instead! UPDATE: February 24, 2015. 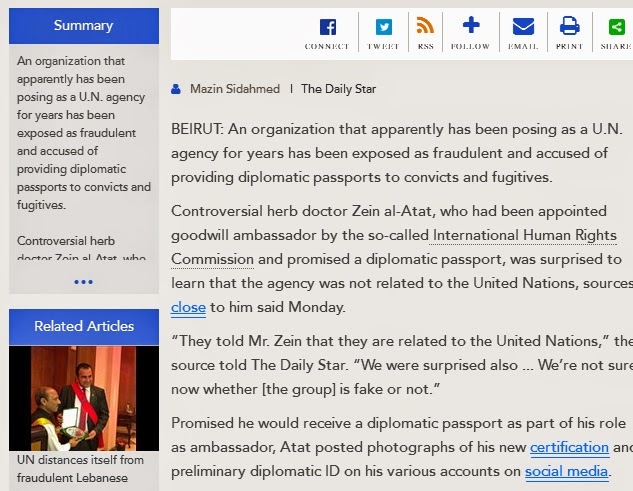 The Daily Star Lebanon published an article written by Mazin Sidahmed exposing Asra Shahid's husband, Dr. Mohammed Shahid Khan, as a fake goodwill ambassador who is not related with the United Nations Organization as he claims on his website. It also mentions Asra Shahid as the founder of a bogus pageant, Miss Universal Peace and Humanity, and mentions Critical Beauty as the pageant blog that "posted several complaints of potential candidates..."
BEIRUT: An organization that apparently has been posing as a U.N. agency for years has been exposed as fraudulent and accused of providing diplomatic passports to convicts and fugitives. Controversial herb doctor Zein al-Atat, who had been appointed goodwill ambassador by the so-called International Human Rights Commission and promised a diplomatic passport, was surprised to learn that the agency was not related to the United Nations, sources close to him said Monday. Promised he would receive a diplomatic passport as part of his role as ambassador, Atat posted photographs of his new certification and preliminary diplomatic ID on his various accounts on social media. Atat appeared on LBCI TV news Saturday and confirmed that “the head of a United Nations organization,” Dr. Mohamed Shahid Khan, who is listed as IHRC’s world chairman on the group’s website, had appointed him goodwill ambassador. The United Nations categorically denied any ties to the organization. But the factors that led Atat to regard the group as legitimate and the “honor” bestowed on him as genuine were convincing. The source close to Atat told The Daily Star that the doctor was convinced of the group’s legitimacy when he looked at its website and Khan showed him pictures of himself with several notable Lebanese politicians. Photographs of Khan in a meeting with Prime Minister Tammam Salam in April, Environment Minister Mohammad Machnouk whom IHRC refers to as the culture minister – and former Prime Minister Salim al-Hoss in December do in fact appear on the website. The meetings were also featured on the National News Agency. Evidence of IHRC’s long-standing presence in Lebanon is clear as there are meetings with high-ranking politicians featured on the NNA dating back to 2012. Head of General Security Maj. Gen. Abbas Ibrahim was also appointed IHRC’s plenipotentiary ambassador of security and peace last April. Sources close to Salam were not available to comment on his relationship with the organization. The group’s website details Khan’s visits with several leaders around the world and lists dozens of global ambassadors. The management section of the website raises further question marks. Former President Emile Lahoud is listed as IHRC’s president and former Iranian President Mohammad Khatami is listed as co-president, along with a variety of former and current heads of state from across Africa. The Daily Star was unable to reach Lahoud to comment on his position within the organization. “This organization is not related to the U.N. in anyway,” Abdel-Salam Sidahmed, regional representative for the U.N.’s Office of the High Commissioner for Human Rights, told The Daily Star. 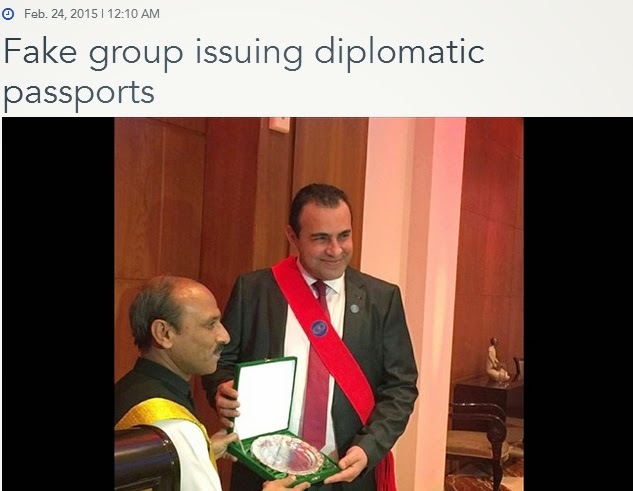 Sidahmed explained that diplomatic passports were restricted to U.N. staff a diplomats. OHCHR is the only human rights body of the U.N. and it does not have any goodwill ambassadors, he added. LBCI claimed that the organization was issuing passports to ex-convicts and fugitives who were not eligible to receive travel documents. IHRC does not clearly outline a purported relationship with the United Nations on its website, but the group’s insignia resembles that of the official United Nations logo and is used throughout its online content. For instance, IHRC’s page on Ukraine – where the group claims they underwent an elections monitoring mission – is littered with U.N. logos as well as U.N. official documents, which are publically available. The Daily Star contacted IHRC’s office in Lebanon but was informed that the number listed was not related to the organization. In a further twist, IHRC also manages a beauty pageant titled Miss Universal Peace and Humanity Organization, which caused some controversy last year as it was planned to be held in Lebanon but never came to fruition, much to the distress of contestants. Asra Shahid Khan, the director of the pageant and also wife of IHRC’s world chairman, announced on Nov. 25 that the pageant would be taking place in Beirut, but subsequently canceled on Dec. 10 due to security reasons and a ceremonial queen was appointed. 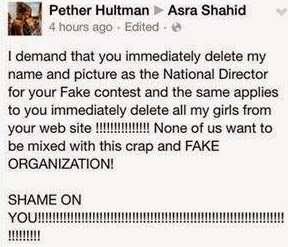 Critical Beauty, a pageant blog, posted several complaints of potential contestants decrying the lack of transparency and information provided by Asra Shahid Khan regarding the event. Asra Shahid Khan is also IHRC’s senior vice chairperson and foreign affairs minister and is a graduate of the Islamabad Model School, according to the group’s website. Maarouf Mezher, a lawyer and member of the Beirut Bar Association, said that the organization was liable if it is indeed publishing fake passports and misrepresenting itself as a U.N. body. Mezher added that the group’s apparent political connections would not prevent its prosecution. A version of this article appeared in the print edition of The Daily Star on February 24, 2015, on page 4. Someone had alerted me to the a new pageant called Miss Universal Peace and Humanity, run by an organization of the same name (MUPHO). The debut was supposed to have taken place in Lebanon last Wednesday, December 10, 2014 and a representative from India, Ruhi Singh (below) was supposedly crowned as the first winner, along with two runners-up from Australia (Rebecca Boggiano) and Palestine (Sofia Alkhadra). 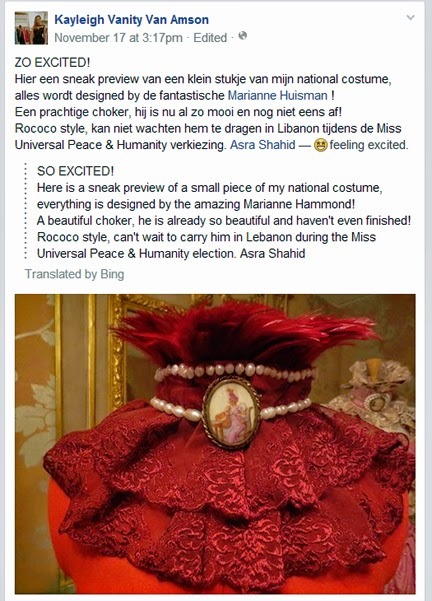 On her Facebook page, pageant director Asra Shahid posted on November 25 that the pageant would be held in Lebanon ("10TH DECEMBER 2014 WE ARE GOING TO LEBANON"). She even posted photos of the official winner's sash and profiles of several contestants. However, there are no photos or video clips from the coronation; eventually, it was discovered that Singh was handpicked as the winner during a press conference held on December 10. Incidentally, Singh and the delegates from Australia and Palestine were the only contestants present at the said event and that the pageant had been previously cancelled three times. A week before the "coronation," Shahid had posted on her Facebook (Nov. 29) the following status which prompted interrogation, frustration and anger from several directors and/or followers. 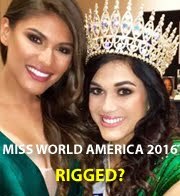 Shahid failed to explain why her organization had chosen "wrong countries" for her pageant and why these countries were being problematic. Suspicions arose from interested parties who demanded an explanation from Shahid, but it appears that Shahid has neither acknowledged nor responded any of the inquiries. One contestant from Puerto Rico, Ashley Ruiz, posted: "I don't understand I write an email to Asra Shahid and she Don't answer, about this situation my country needs to know what's finally it's going to happens whith the pageant, we invest time and preparation. 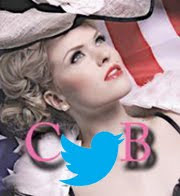 For this pageant and don't even an email I will love to get an answer." Another poster, Melody Njekwa, wrote: "To start with i dont these organisers have been honest because they have changed the host dates many times. Secondly, the first host country was cyprus then they change at the last minute that its labanon so disorganized! A week ago she put up a status saying visaz and tickets for 70girls were ready and the other 70 wil b ready soon so suddenly just 10 are ready.why cant the 70 go?how does she go on to say we choose wrong countries for our pageant when its miss peace and humanity which shud over look it and bring people together. Asra shahid dear then wat is peace when other countries are wrong?this pageant No its not safe!" Based on Njekwa's comment, Shahid appears to have confirmed that the first 70 countries would participate because their visas had already been approved and that their tickets had been purchased (I assume that Shahid herself had purchased the round-trip airfare for all the contestants). And from the tone of Njekwa's voice, she seems to be lecturing Shahid about the real meaning of peace, that is, if the pageant is all about promoting universal peace and humanity, then why would Shahid belittle other countries by calling them "wrong?" Perhaps the loudest protest came from Kayleigh Vanity Van Amson, who was supposed to represent the Netherlands at Shahid's "bizarre" pageant. 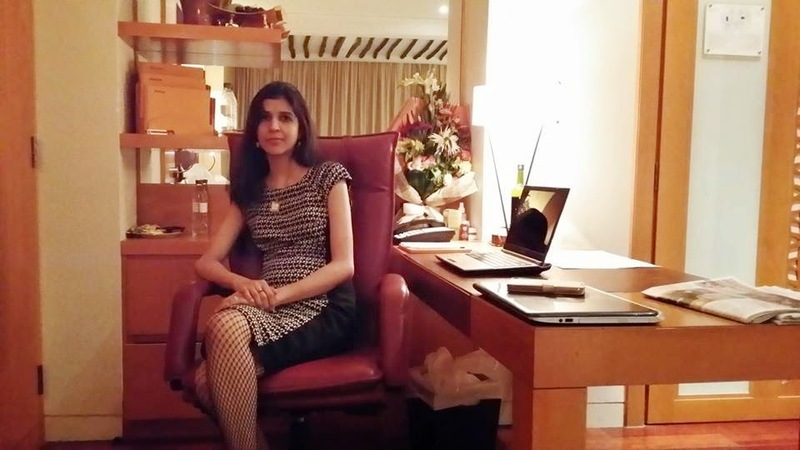 Van Amson wrote a lengthy message to Shahid accusing her of unprofessionalism, incompetence and lying ("...this is one big mindfuck with lies and lies and lies.") 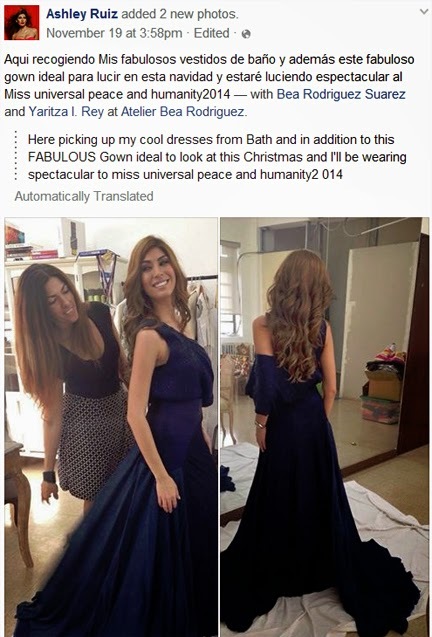 The message appears in the Facebook page of Miss Universal Peace & Humanity Thailand. Girls, save your wardrobe for a real honest to goodness pageant instead! 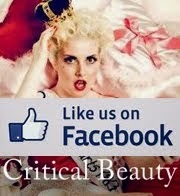 The official banner. Notice the misspelling of the word "universal" and the overall amateur and cheap-looking design of the banner. One wonders, too, if the images of young women on the banner are the official photographs sent by the national directors themselves, or were "stolen" from other websites or personal pages. (Photo from MUPHO Facebook page). And who exactly is Asra Shahid? On her Facebook page, she describes herself as the "CEO/Executive Director at Miss Universal Peace & Humanity Pageant Organization" and "Executive Director at World Peace Mission Organization." She lives in Beirut, but comes from Nicosia, Cyprus. She is married to a certain Dr. Muhammad Shahid Amin Khan, the "World Ambassador" and President of International Human Rights Commission (IHRC) whose headquarters is based in Pakistan and whose mission is to "facilitate the creation of cooperative networks and economic development programs... promote human rights, peace, gender equality, health, equality, economic development and educational access, awareness regarding the rights of women, children and youth in developing nations and wherever needed." Read more. 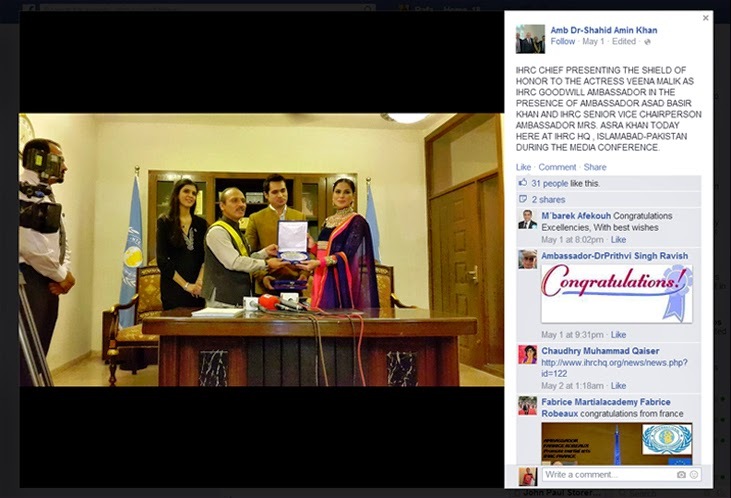 Last May, Ambassador-Dr. Shahid Amin Khan presented the Shield of Honor to Pakistani actress Veena Malik for her humanitarian work. Last month, Veena and her husband Asad Bashir Khan Khattak "were sentenced to 26 years in prison by a regional, anti-terrorism court for allegedly airing a blasphemous programme." The show played a religious (Islamic) song while staging a mock marriage of Malik with Bashir. (Source: Reason magazine) Now if Amin Khan is really sympathetic towards women and is committed to promoting women's rights, let's hope that he will be able to plead with the courts to reverse the sentence and allow the couple to be free. But I am not counting on it. Committing blasphemy in Muslim-dominated Pakistan could very well be your passport to death. And what do I think of this whole pageant fiasco? Well, for one thing, I don't have any sympathy towards anyone who who gets involved with a "pageant" without doing a thorough research and background check of the organizer(s), without analyzing all necessary documentation, and without communicating with the organizer(s) in a tangible fashion (phone calls, Skype, online chats or even meeting in person). I have been following the pageant industry for over twenty years - and just like in any industry - you will find either good individuals who will raise you up, or bad individuals who will bring you down - and it is the latter group that gives pageantry a bad name. A pageant is only good when the organizer(s) are totally transparent, professional, accessible, trustworthy and easy to work with. And it also helps to ask tons of questions. If the organizer(s) cannot provide satisfactory and honest answers, then run away as fast as you can!